The result of Cassian’s slender evidence is a document that won’t do you much good if you want to learn about Nestorius and the arguments against his teaching. As well, Cassian is not always as precise with his language as fifth-century theologians ought to be, and some of his sentences and phrases could have been misconstrued. However, overall, the orthodoxy of the document is that Christ is one person who has two natures, and Cassian argues against certain terminology that could be used to deny this reality. Cassian takes the reader through a discussion of one heretic’s recantation, and then a refutation of the Nestorian documents at his disposal using Scripture, then using the baptismal creed of Antioch, and then, in Book 7, the Fathers — Sts. 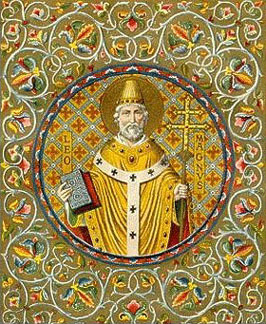 Hilary of Poitiers, Ambrose of Milan, Jerome, Rufinus of Aquileia, Augustine of Hippo, Gregory of Nazianzus, Athanasius, and John Chrysostom. This document illustrates, especially in 6.5, the inherent conservatism and traditionalism of ancient Christianity. We also see why any truly orthodox Christian can comfortably call Mary Theotokos, or “God-bearer” (usually rendered “Mother of God”). You can read it for yourself at the CCEL. *The Case of Nestorius: Ecclesiastical Politics in the East 428-451 CE.